Teach phonics through songs. 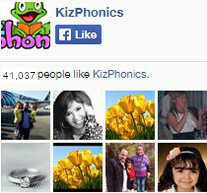 The Kiz Phonics ® songs are catchy and help learners master the key phonemes of our course. There are songs on short and long vowels, r-controlled vowels, blends and digraphs. 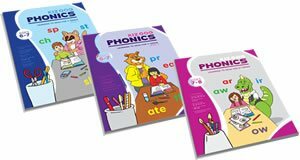 At Kiz Phonics, we offer decodable short stories for helping kids learn to read. Our stories build confidence in reading full sentences and chunks of text. The stories make use of word families and sight words. 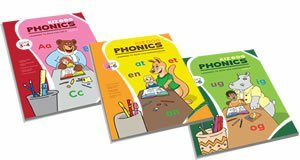 Kiz Phonics ® has a unique board game concept which has been adapted for practicing phonics. 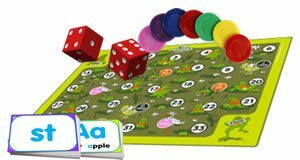 These interactive board games will help learners review a wide variety of word families under each vowel. The games complement the printable versions.